Trade the dizzying lights of the city with the sight of azure waters and glorious sunsets at Henann Regency Resort & Spa. 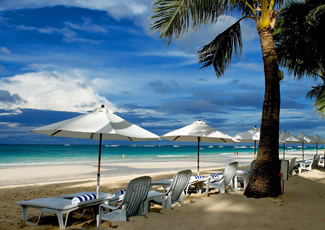 Right in the middle of a long stretch of white-sand beach sits Henann Regency Resort and Spa, formerly known as Boracay Regency. Regarded as the island’s first Triple A rated luxury resort, this holiday enclave offers an enviable experience that sweeps guests off their feet and leave them in awe. 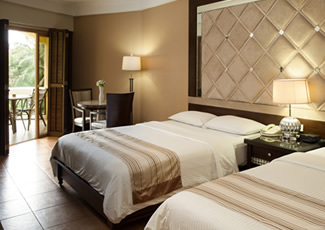 Convenience and enjoyment come swift, by way of 302 ultra-elegant and Mediterranean-themed guestrooms. Each has a laid-back beach ambience made extra special with the incorporation of premium amenities. Rich linen and fittings are featured in all rooms. Wi-Fi Internet access is also available, and breakfast is complimentary. 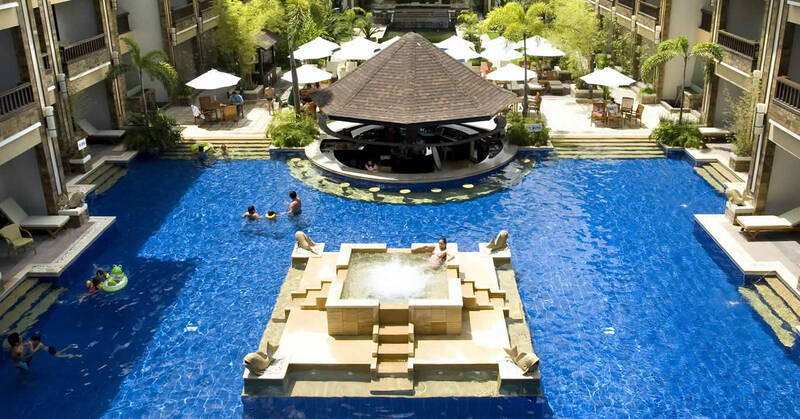 The 7 restaurants, a comprehensive spa, and 3 crystalline swimming pools lift holidays spent here to the truly upscale. A range of water sports, gym, mini-shop, and room service ensure the pleasure of visitors. For corporate needs, there’s a convention hall that can accommodate up to 1,000 guests, business center, and private transportation. Finally, service here is elaborate but straightforward, with all the little, indulgent details in order. 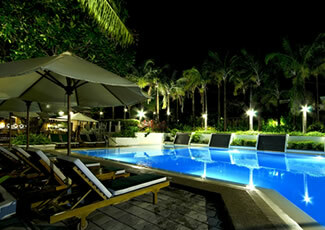 Enjoy a taste of the island’s best, right in each accommodation, at Henann Regency Boracay. Accented by gorgeous views of the pool or beach, all guestrooms are fitted with an individually controlled air-conditioning, flat screen cable TV with international channels, Wi-Fi Internet access, IDD/NDD phone, coffee and tea facilities, and safe. Henann Regency Resort and Spa Boracay affords something for each kind of traveler, from adventurous types to those just looking for R&R. This includes an all-day buffet diner, fine dining restaurant, convention center and function rooms, VIP lounge, gym, water sports, and mini-shop. Located along the beachfront of Boat Station 2, Henann Regency is just a short walk from D’Mall and Talipapa. From Henann Regency Resort and Spa, guests can also explore a number of tourist spots, like Kingfisher Farm, Bat Caves, and The Dead Forest.